Manufacturers selling product through a channel marketing programs face unique challenges when it comes to targeted B2B lead generation programs. The crux of the problem is not having direct interaction with the final customer. This condition requires companies to build elaborate CO-OP and MDF programs that are designed to support and motivate distributors to promote and sell more of their programs. Unfortunately, these programs often fall short of that mark due to poor participation and a lack of understanding of what distributors truly want from their manufacturing partners. To help shed light on this and help companies build better CO-OP and MDF programs, we’ve developed these 5 tips for improving your channel marketing programs. Money, ironically is not a great motivator. According to an article in Forbes magazine, Money is better used to attract and retain people than to influence their behavior. Thus, CO-OP and MDF programs that focus on giving money to partners to support their marketing and sales efforts are prone to failure. 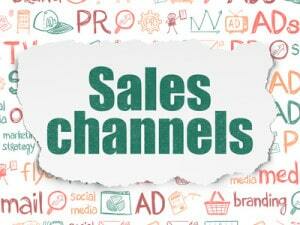 Instead, your channel marketing programs should focus on delivering resources that encourage more sales activity. This is done by building promotional programs that can generate more leads and the resources necessary to close more deals. The latter can be supported in many ways including offering training, providing demo equipment or even product samples. Participation is key to any channel marketing program and to encourage participation you need to make things easy. This means promotional programs need to be turnkey solutions that require little to no involvement from your distributors marketing or sales team. Additionally, you need to eliminate all administrative tasks. Your goal should be to keep your distributors focus on selling while you help by providing the resources they need to do so. Remember, you’re dealing with sales people who typically avoid doing paperwork including doing their own expense reports. Thus, truly successful channel marketing programs are built around the premise that it needs to be easier to say Yes than No. All distributors are not equal and should not be treated as such. Channel marketing programs need to focus on encouraging the right behavior and maximizing your return-on-investment. To do that, you need to understand where your time and resources are going to have the biggest impact. Start by identifying those distributors and build your program around their needs. Then adjust the elements to fit everyone else. That’s not to say you shouldn’t provide resources to your smaller distributors, but you need to be smart about your choices and consider the outcomes of your investment. As with any marketing program, you need to make sure you are getting a solid return for your investment. This requires tracking what your CO-OP dollars are spent on and what revenue they generate. You’ll then be sure your money is being spent on resources that generate sales. CO-OP and MDF programs are notorious for expenditures on shirts, golf balls, pens and other trinkets for sales people to deliver to customers. None of these things should even be an option within a well-designed program because they do little to generate new leads or help close sales. A better use of these funds applied directly to customers would be in free or discounted customer training, samples, product add-ons or customizations. The final tip in our list of 5 tips for improving your channel marketing programs is to make access to these sales resources contingent upon completing specific goals and actions. This most critical of these is getting feedback on resources used or leads received. Getting, honest, timely feedback from distributors is probably the hardest thing to do because it involves mundane administrative tasks. To overcome this hurdle, you first need to demonstrate your programs value and then clearly communicate that continued participation requires their involvement. For example, you may require feedback on the status of past leads before providing any future leads. The key is making sure the leads are worth the sales people time and the process for giving that feedback as easy as possible. Once you have implemented these 5 tips for improving your channel marketing programs, you’ll be better positioned to provide what your distributors want and generate more revenue doing it. You’ll also be better able to justify expanding your strategy to include more distributors; and more importantly have the processes in place to effectively scale it without diminishing its effectiveness.